Australians are tipped to have received more than $600 million worth of unwanted Christmas presents this year, with over 20 million dud gifts likely changing hands. New Galaxy research, commissioned by online marketplace Gumtree, found 71 percent of Australians would receive unwanted presents this Christmas, equating to 20.6 million gifts. That corresponded to a total spend of $630 million, the survey found. "Last year unwanted gifts were valued at $520 million and this year the figure has jumped to $630 million," it stated. Gumtree spokeswoman Kirsty Dunn said there was a 30 per cent jump in new ads on the site straight after Christmas last year as people sought cash for their unwanted presents. “We expect to see an even greater number this year,” she said. 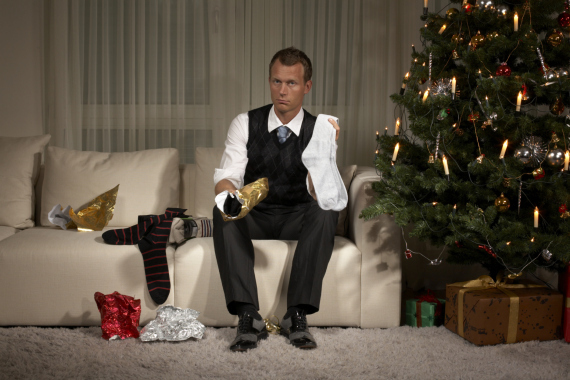 The average unwanted gift was valued at $68, according to the survey, released Saturday. In addition, the survey found in-laws were the most common givers of unwanted gifts, while about 9.5 million Aussies were guilty of re-gifting presents to someone else. It also found Generation Y was most keen on flipping undesirable presents for money, with 30 percent flogging gifts online, compared to 20 per cent of Gen X-ers and just 5 per cent of Baby Boomers. The survey, conducted last month, polled 1,253 respondents aged 18-64. The results are broadly in line with the economic argument that Australians waste at least $760 million on Christmas presents. Perhaps all the unwanted Chrissy presents is one reason Aussies have been so willing to splurge the day afterwards, with thousands of shoppers flooding Boxing Day sales. The National Australia Bank (NAB) predicts the traditional Boxing Day sales will entice Australians to make more than 6.6 million transactions. NAB's tipping customers to use ATMs, EFTPOS, debit and credit cards more than 6.6 million times on Saturday as bargain hunters descend on retail outlets. “Everyone loves a bargain and traditionally, Boxing Day is accepted as the best day in the calendar year to pick one up,” NAB's Renée Roberts said. “Transactions are predicted to be up almost 1 million more than last year’s numbers, with shoppers making 5.7 million transactions in 2014." The shopping peak is estimated to hit around lunchtime today, with more than 170 transactions a second predicted. For those keen not to make cash out of reject Xmas gifts, they can always be given away to charity. Kids' toys can be gifted to a children’s ward in a hospital, books can be donated to a library, and sports equipment like cricket bats and footy balls can be given to sporting clubs. St Vincent's has previously estimated the value of discarded Christmas gifts at over $750 million.